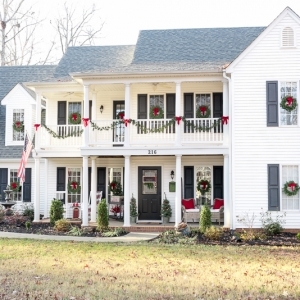 I realize that in blogger time, this Christmas home tour is coming to you extremely late! 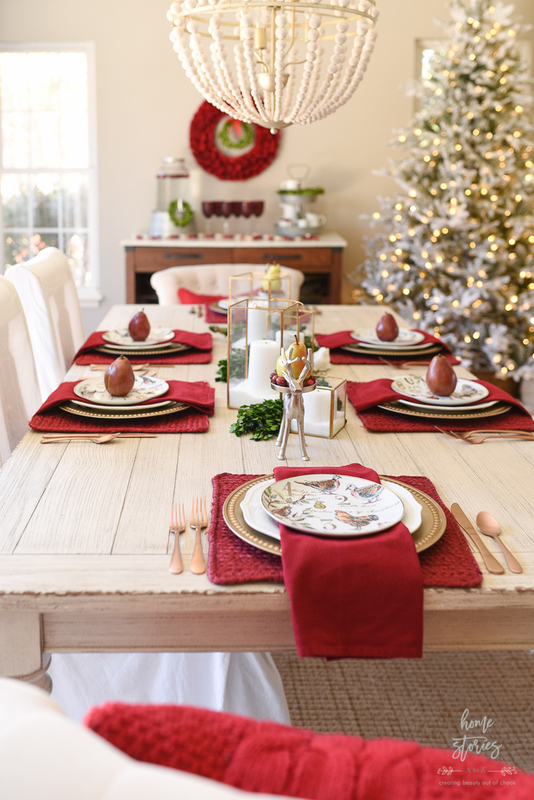 I honestly was not going to bother doing a Christmas home tour this year since it’s so late in the season, but I decorated everything–so why not show you, right? 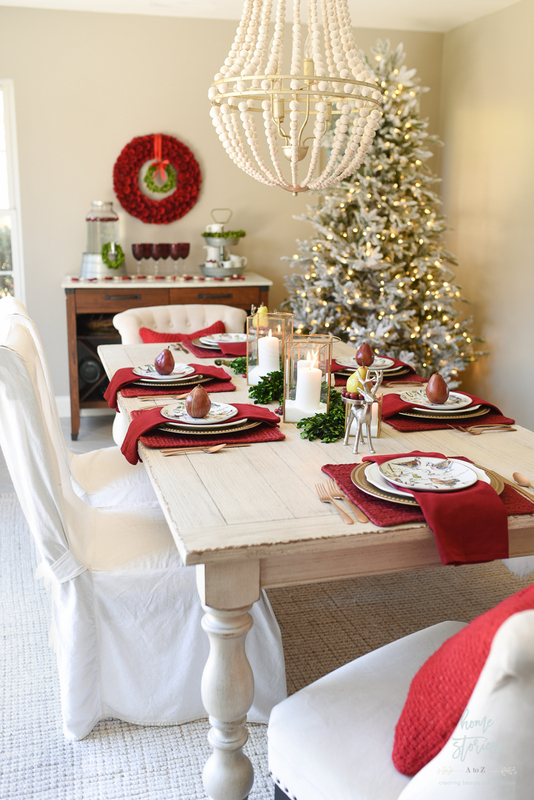 This is our first Christmas in our new home and the boys requested that I decorate for Christmas normally this year. 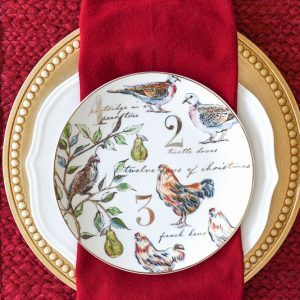 I enjoy using neutrals and non-traditional colors in my seasonal decor, but with so many changes in our lives this year I thought my boys deserved some “normal” Christmas decor! 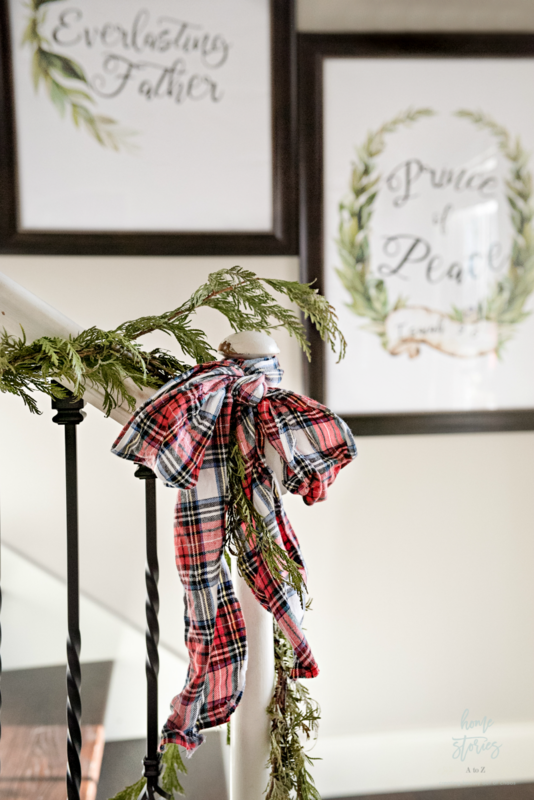 I used a lot of red and green plaids throughout the entire house and it feels so warm and cozy! 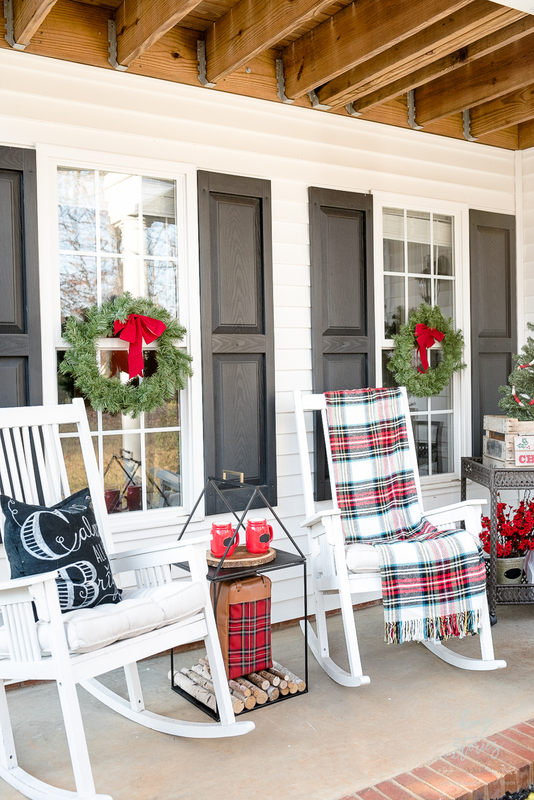 You can see more of the Red and Green Christmas Porch and find out all of the product sources on the porch by clicking here. 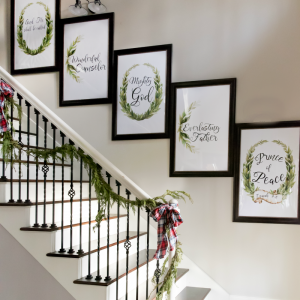 Last weekend I made these beautiful DIY Christmas Art prints, and I have a step-by-step tutorial sharing exactly how I made them here. I love the way they turned out! 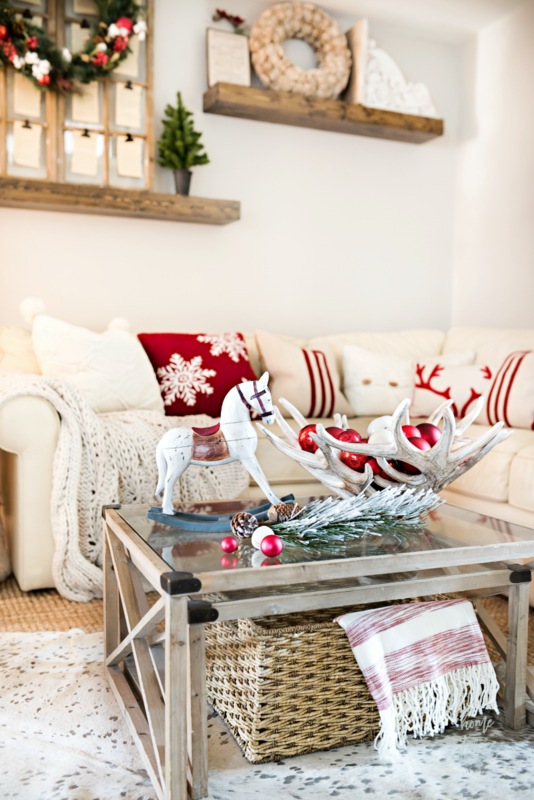 Our family room is so warm and cozy this year and I love sitting on the couch or by the fire with a cup of hot cocoa! 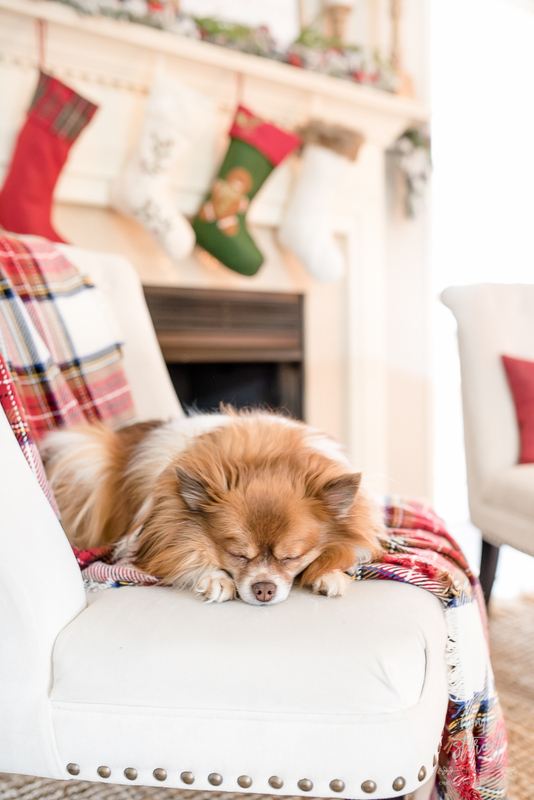 The Pomeranians like the cozy space as well! 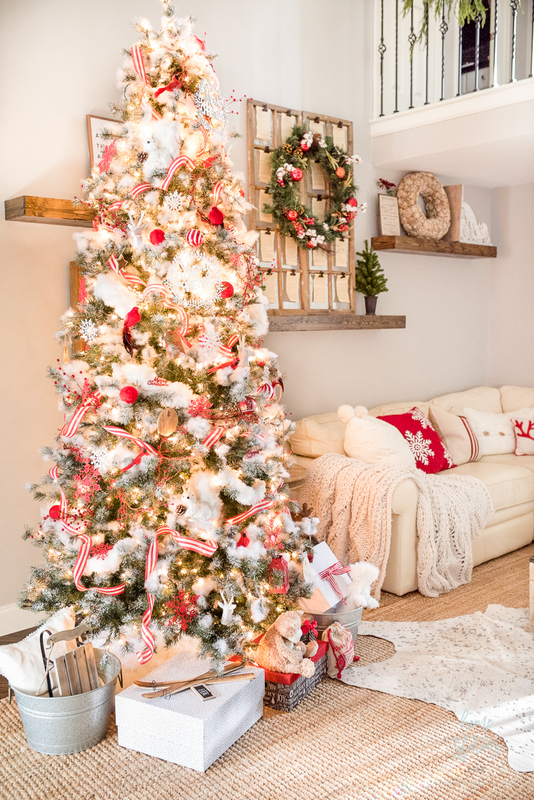 I did our tree in red and white this year using all decorations I already had on hand. I bought this star mirror over five years ago and have never used it until now! 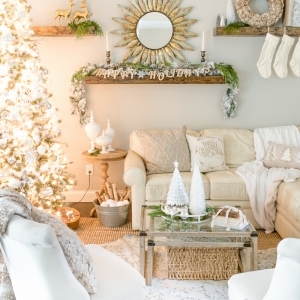 I love how it looks above the mantel. 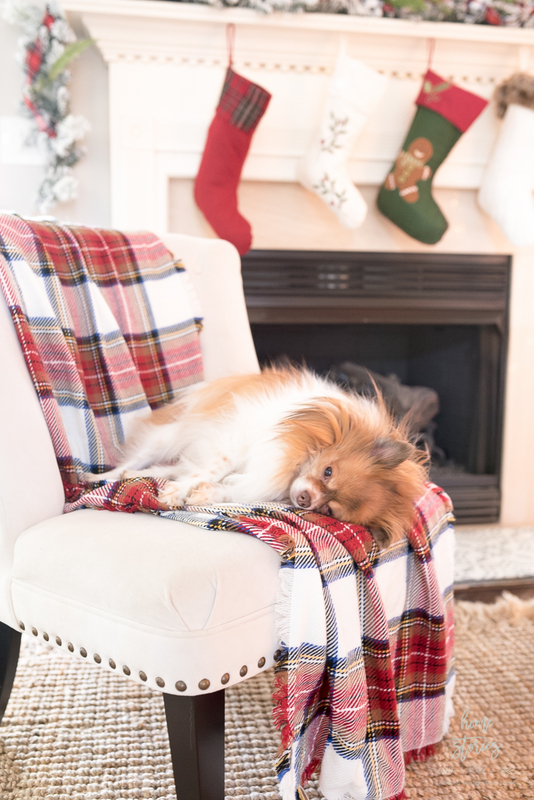 Pippin loves sleeping in this chair and most days can be found here looking cute! 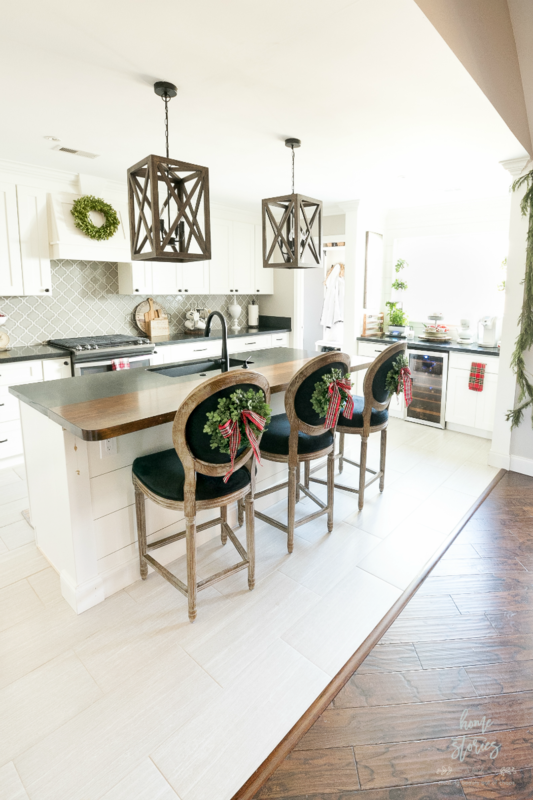 Our kitchen is one of the rooms that sold me on the house! 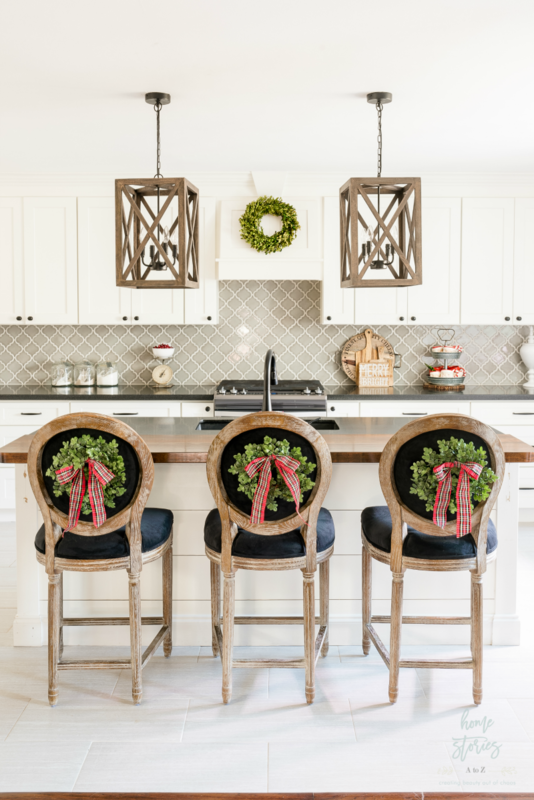 I recently updated our kitchen stools and will be making some fun changes to the kitchen in the new year. 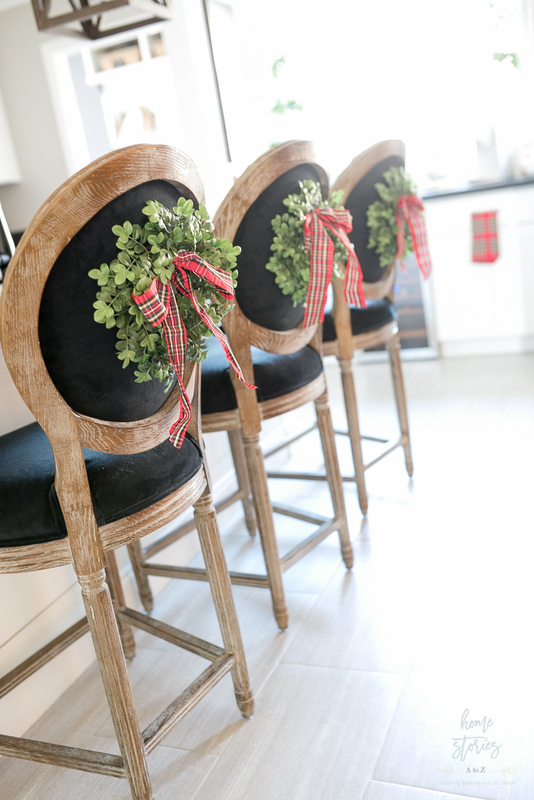 I googled “how to attach wreaths to chair backs” and just couldn’t find a great method online for attaching wreaths to upholstered chairs. I thought about it for a few minutes and used corsage pins to attach the wreaths to the chair backs and it worked great! 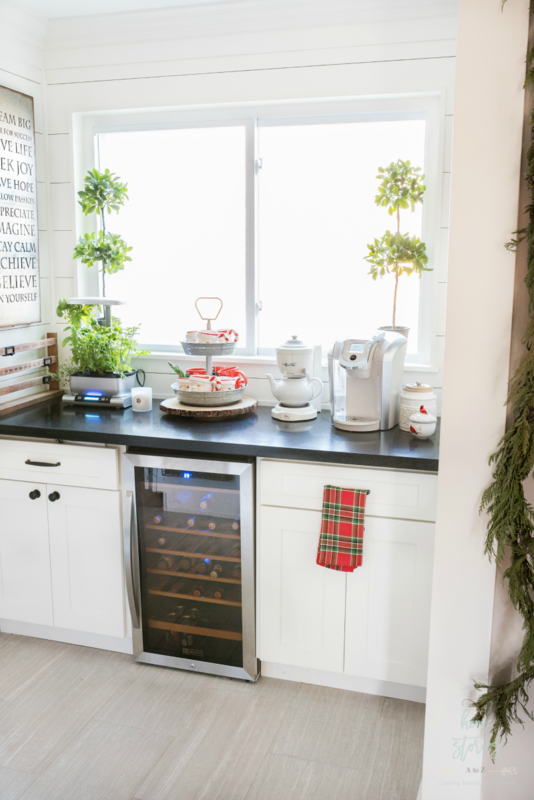 Our beverage bar is one of my favorite aspects of the kitchen. It’s such a wonderful convenience! 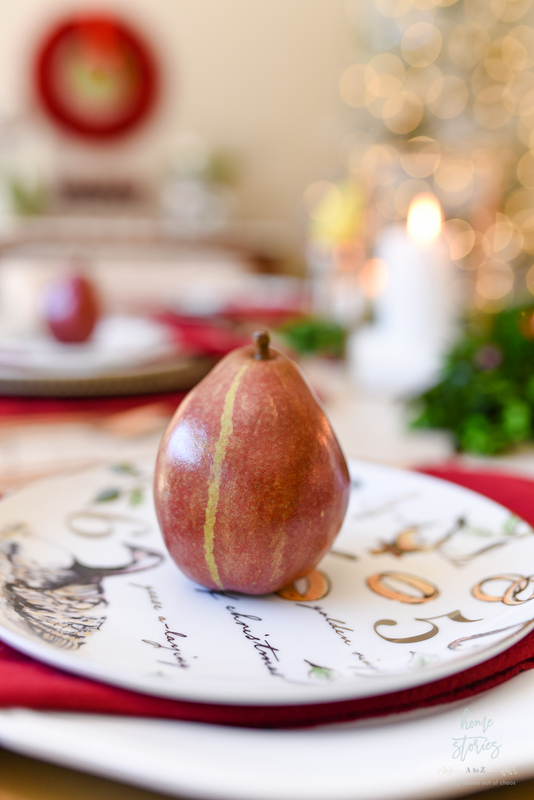 I’ve shown the dining room a lot since we’ve moved in, and it’s one of my favorite spaces to decorate! 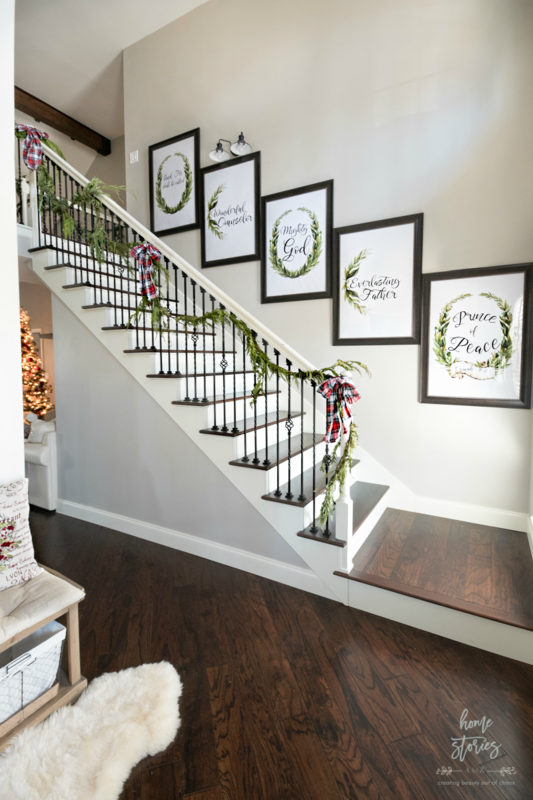 Our master bedroom received a makeover back in the fall and looks lovely! You can see the full makeover here if you’d like. 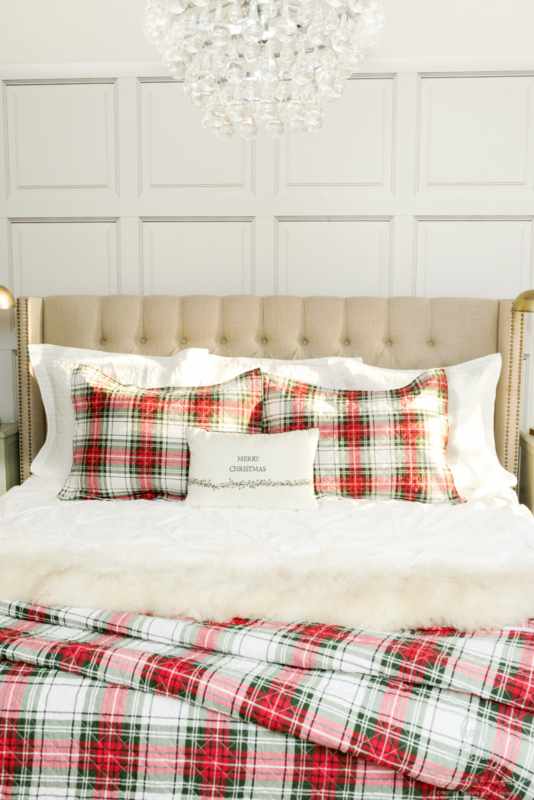 I added some Christmas bedding that I found at Stein Mart and love the cozy plaid. And that concludes my home tour this year. 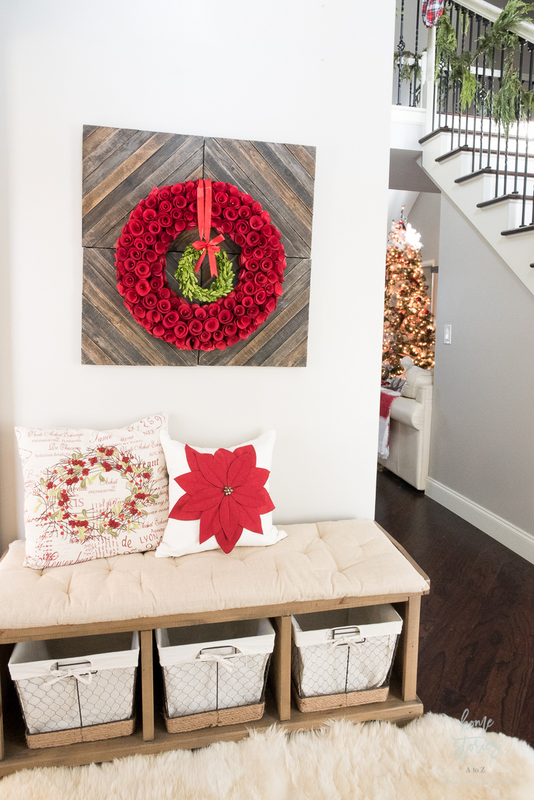 Thanks so much for stopping by and taking our Red Plaid Christmas Home Tour! I’m excited to see what the new year brings. You have so much more room than you did before!! Love it! Everything looks beautiful Beth! 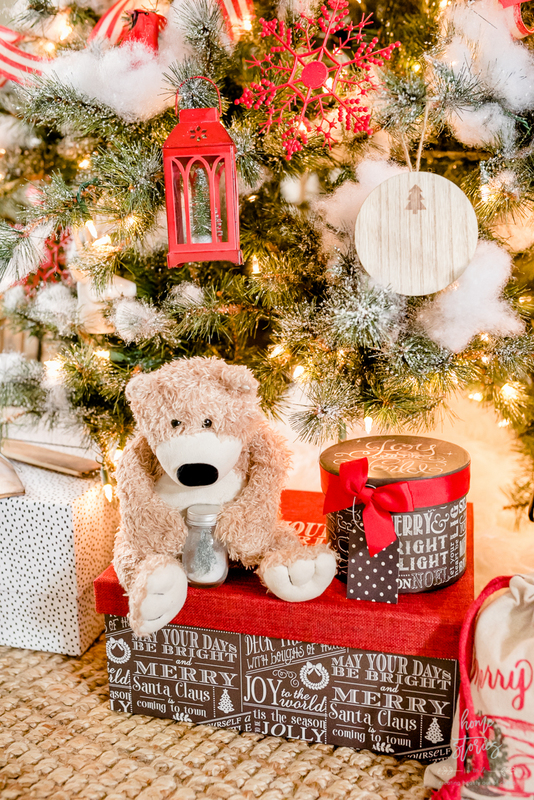 May you and your family have a wonderful first Christmas in your new home! It’s stunning, Beth. I love every detail in your new home. I’m so glad you showed us your Christmas tour this year!! Pippin sleeping is too adorable. And I’m thrilled to see someone else still has a Mrs. Tea. 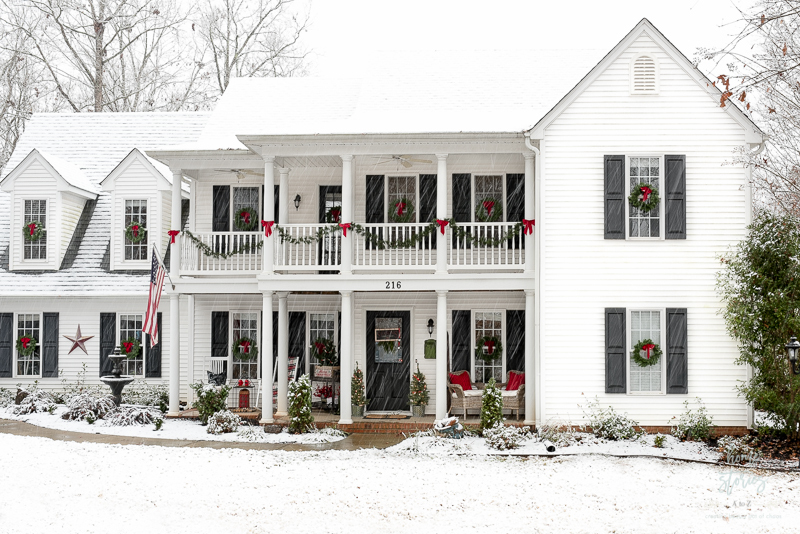 Your place looks great and I’m sure the boys will always remember the Christmas is snowed at their new home. 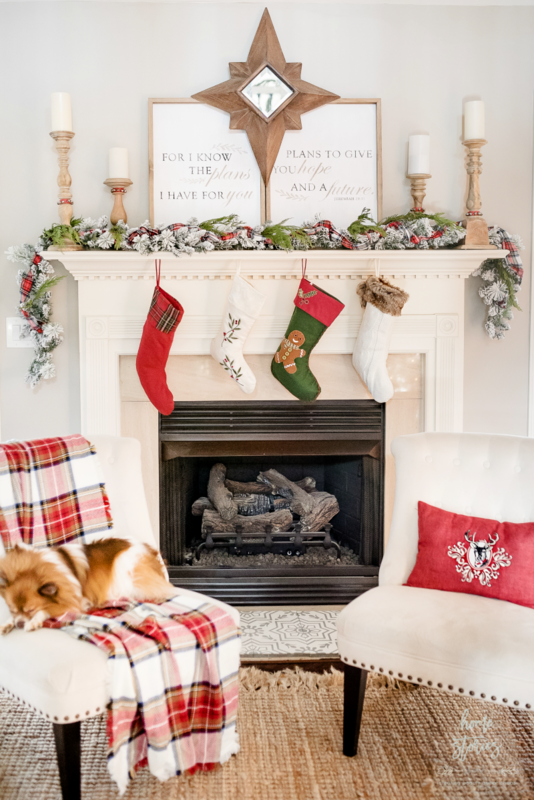 Where did you get your scripture verse that’s on the mantel? 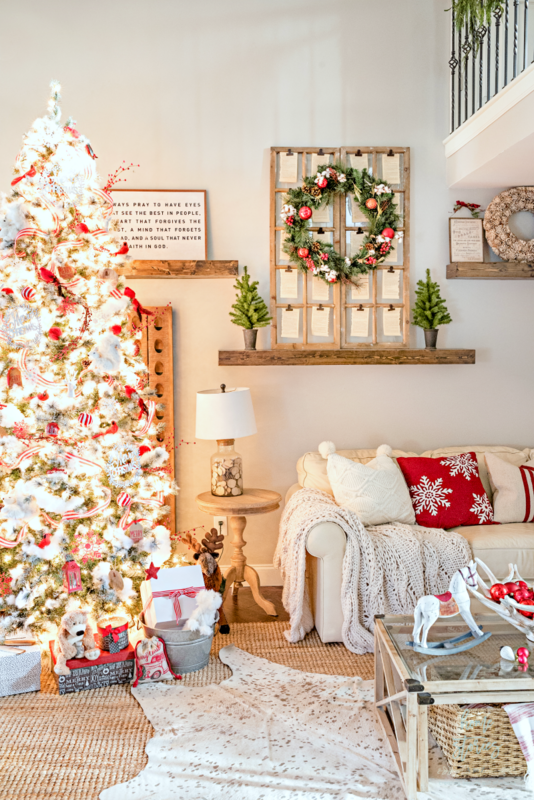 Your Christmas decor was beautiful! Looks great Beth! You have so much more room than you did before!! Love it! Everything looks beautiful Beth! 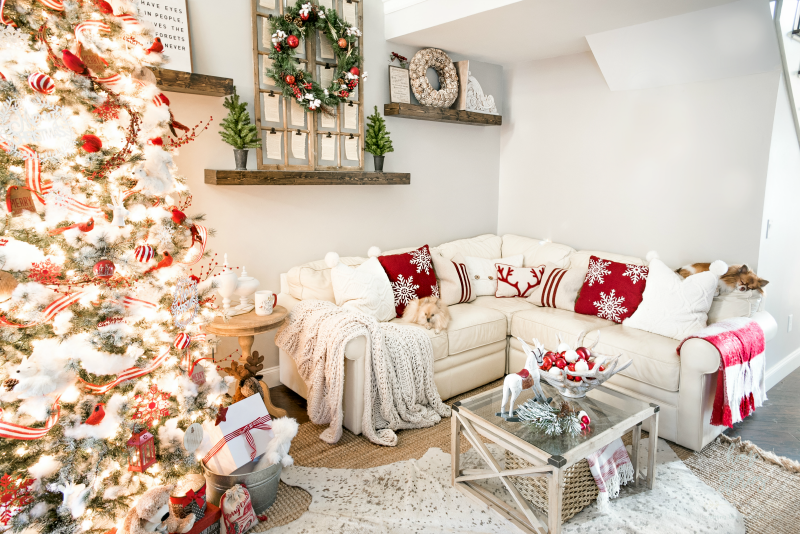 May you and your family have a wonderful first Christmas in your new home! Ya never know y’all may get snow again before the winter is over. 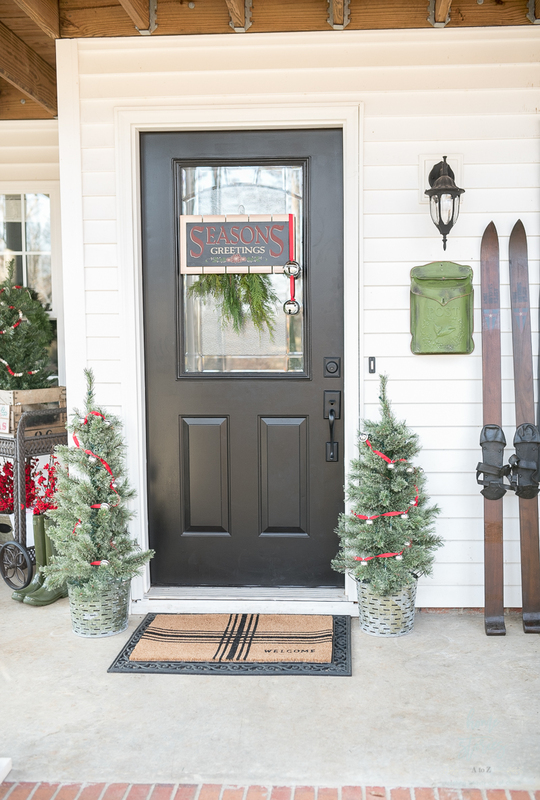 I have friends around the Greenville/Anderson area and they get snow maybe not every year but it is certainly is not as far fetched of an idea as other areas in the south. Thank you so much Pamela! Snow before Christmas up in PA was rare so it was so much fun to have some down here! 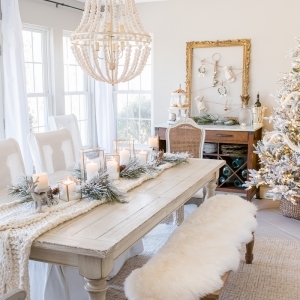 I don’t love snow so warmer winter temps are fine by me but it is so beautiful at Christmastime. 🙂 Merry Christmas and thanks for stopping by!